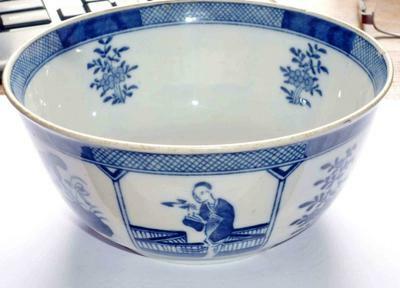 I'm trying to find out something about this bowl left to me by my late mother. 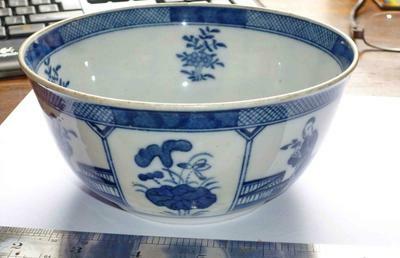 The Bowl is 15cm across and 7cm deep. Any help would be very gratefully received. Thank you so much for pointing me in the right direction. Very grateful. 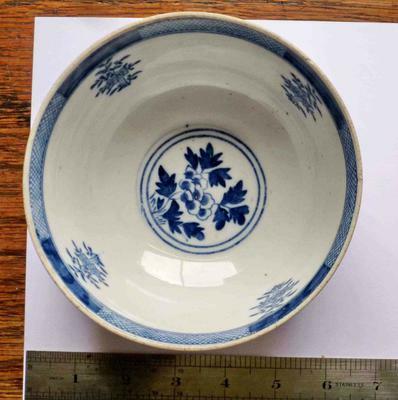 In these picture it looks like a more recent imitation of Chinese export porcelain. There is a spurious Kangxi mark. 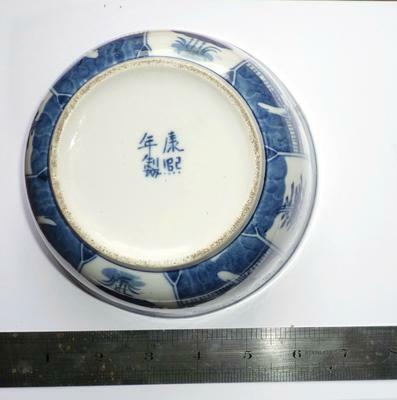 Not sure if it could be Japanese, but from these pictures it looks as if it were printed. Closeups of decoration (partial) would be needed to confirm this impression.